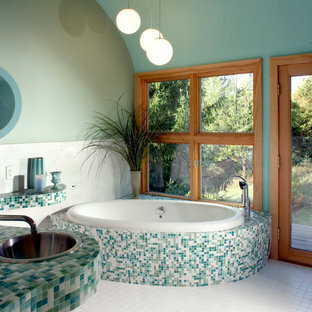 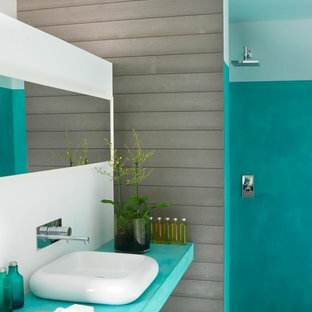 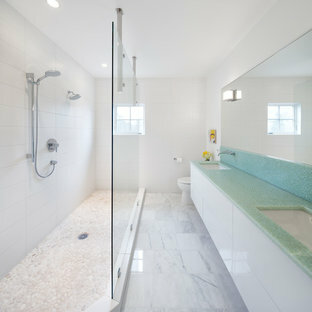 By timothyj kitchen & bath, inc. 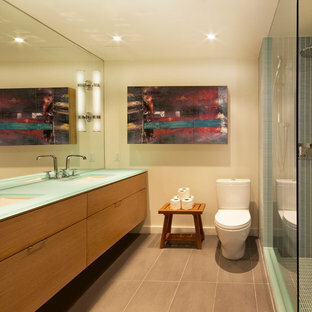 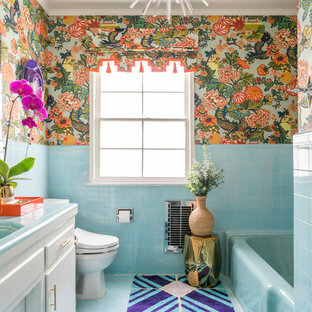 This washroom has so many creative elements: a medicine cabinet that doubles as art, frosted aqua glass, counter tops, aqua blue mosaic glass tile in the shower, and honey coloured, white oak to keep the space warm and inviting. 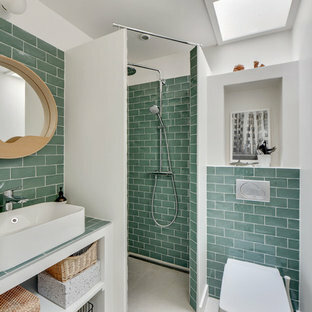 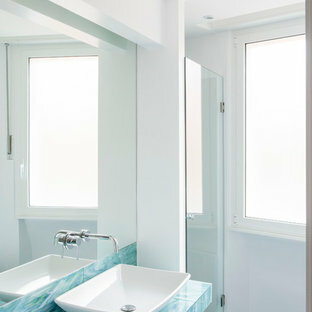 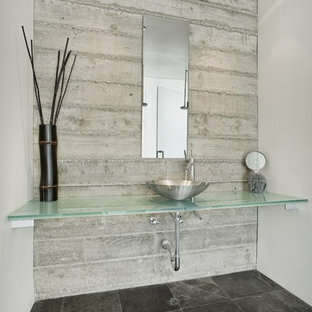 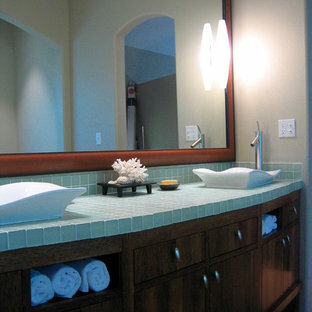 This washroom also houses a hidden laundry room that disappears into the decor of the washroom.